I feel like in our stay in Florence we only got to scrape the surface of what it could offer, we were there in that weird gap between Christmas and New Years so a lot of things were closed or being repaired. I will say the food was the best on our trip, so I’m very excited to share the places we’ve found. After checking in to your accommodation it’s time for happy hour! Head down to the cellar door for Spumantino Verrazzano. It’s been producing wine since Roman times and is the perfect place to sit and have a few beverages before dinner. Then head on over to Trattoria Nella for dinner. I personally recommend the pasta e ceci (pasta with chickpeas) - it’s so hearty and delicious and (bonus points) is a local Tuscan dish. Time for an adventure! After breakfast it’s time to head to the Galileo Museum. It tracks the history of science from the 15th century to the present day, and shows the instruments people (like Galileo) used to solve the mysteries of the universe (long before computers). It also has an incredible astrolab that has to be seen to be believed. 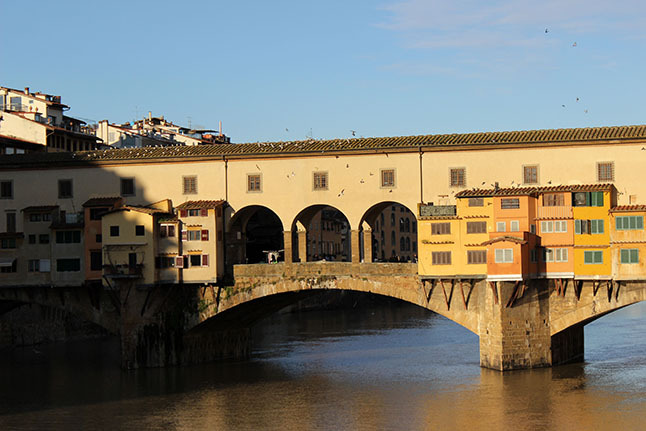 After stopping for lunch at one of the cafes along the river it’s time to cross the famous Ponte Vecchio which was the centre of trade in Florence for many years, and then go for a walk in the Boboli Gardens. After relaxing in your accommodation for awhile it’s time to head for happy hour at Mangiafoco Cafe. Feel free to have cheese with your Aperol spritz, but make sure to save room for dinner because you are in for a treat. Dinner tonight is at Vini e Vecchi Sapori (make sure to book ahead!). It’s one of the most popular restaurants in Florence, and for good reason! The food is fantastic, the wine selection is really good and the owners are very friendly and determined to avoid becoming a tourist trap. Be warned you might need to share your table with someone (they only have 18 tables) but we found it just added to the experience. After an evening out at Vini e Vecchi you might not be up for this - but if you can manage to get up and head down to the river to watch the sun rise it will be worth your time. It’s an amazing experience - you really understand what people mean when they talk about the Tuscan sun. Depending on how much time you have you could then either head to the Uffizi Museum or go for a walk to the Cathedral of Santa Maria di Fiore (or both if you have the time!). I have wanted to go to Italy ever since I read “Jamie’s Italy” by Jamie Oliver in 2007. There is something about the food and culture of Italy that instantly captivated me. I’m so excited to share some of that magic in this guide to the perfect weekend in Rome! After you check into your hotel or Air B & B it’s time to head out for the evening. The afternoon is the perfect time to check out the Vatican (from the outside at least). What I find the strangest about the Vatican is that you expect it to have a wall or a gate or something to separate it (I mean it is a different country after all). Instead it’s just a low chain fence that separates it from Rome. From there you can wander down to the Castel Sant’ Angelo and across the St Angelo Bridge and down to my favourite piazza to have dinner - the Piazza Navona. One thing about Rome is that if you’re open to the idea of having lots of pizza and pasta you can wander into almost any restaurant and be treated to a delicious meal. If you have read a few of my perfect weekend guides you know that I love to explore a city on foot - and Rome really is perfect for wandering. We’re getting started with a pastry and cappuccino (preferably standing at the bar) of a cafe. 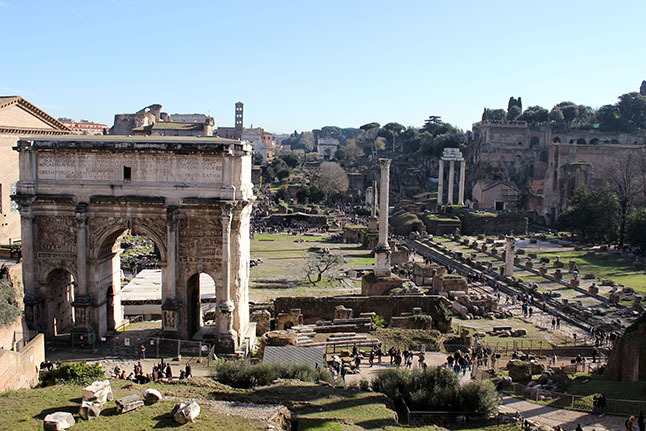 Then it’s time to head to the trio of the Roman Forum, Colosseum and Palatine Hill. Start at the Forum - you can buy a ticket for all three sites at the Forum which will avoid one of the queues at the Colosseum. Spend an hour or so try to wrap your head around how impressive the Forum would have looked at the height of the Roman Empire. Next up is Palatine Hill, a beautiful manicured garden above the Roman Forum. I had never heard of it, and it has a fascinating history (as well as being gorgeous). Last up is the Colosseum; and no matter when you go, be prepared for crowds and hawkers. Dodge the “Roman Centurians” roaming around outside and head off for a lunch break at one of the nearby bistros. After lunch it’s time to head to the Pantheon, but stop on your way to check out the Torre Argentina Cat Sanctuary. It’s run out of the Largo di Torre Argentina ruins (it's where Julius Caesar was murdered - and legend has it that he was the one who introduced cats to Rome in the first place) and it’s a wonderful place to give some kitties a bit of love and feel generally good about humankind. At this stage I imagine you’ll want to head back to your accommodation and have a rest before heading out again for dinner. If you want some dinner inspiration; Deb of Smitten Kitchen has a very helpful list. On the last day, it’s time to choose your own adventure! 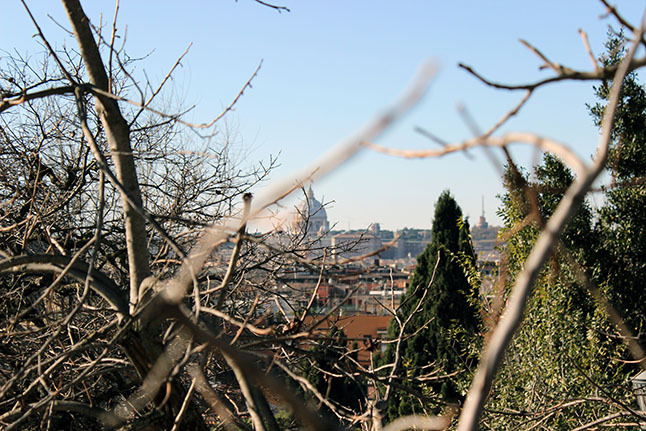 Either head to Villa Borghese for a morning of wandering through incredible gardens, finishing by exiting near the Spanish Steps for a knockout view of Rome or head to the Capitoline Museums (the oldest museum in the world) to dive deeper into the history of Rome. Of course if you’re ambitious (or have the time) you can try and go to both! The best way to describe Venice is beautifully melancholy; full of tiny streets, ancient buildings and its famous canals. 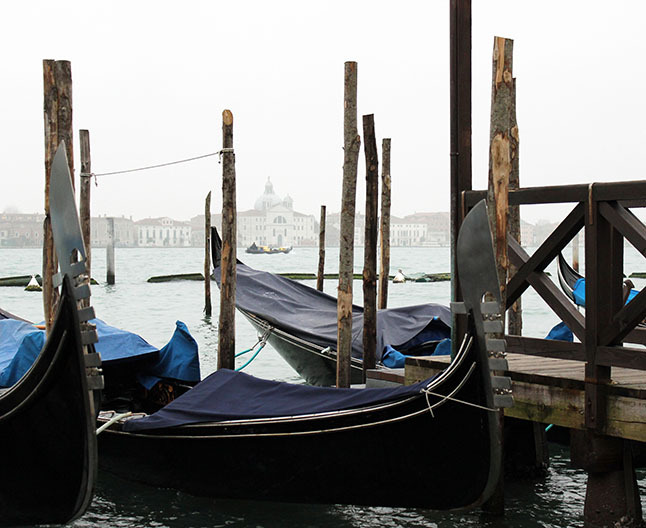 Here is my guide to a magical winter getaway in Venice. On arriving it’s time to check in to the hotel; I recommend Hotel Al Codega. 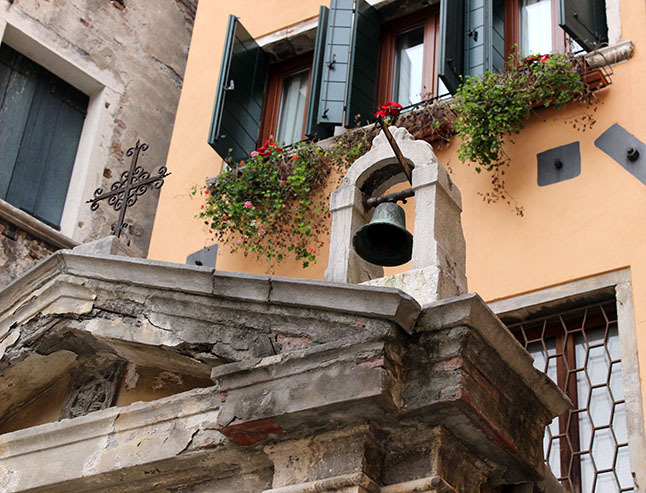 It’s right in the centre of Venice but is quite affordable, and a really lovely hotel to boot! Then it’s time to go out! We’ll save the proper exploring for tomorrow so tonight we’re just going to walk down to the famous Ponte di Rialto. Like everywhere else in Europe there are some lovely markets at Christmas in the square near the bridge. I would recommend the Italian pastries - they’re a lot sweeter than I was used to (as an Australian) but they were very delicious. After some wandering it’s time for dinner at Osteria Enoteca San Marco and boy are you in for a treat. The food is traditional northern Italian fare, though usually with a twist. I had an incredible cacio e pepe (a dish I have a mild obsession with) and my husband still raves about the tiramasu. The wine list is extensive but very well priced - don’t be afraid to ask for a recommendation! After dinner you can head to bed OR head down to the Piazza San Marco for a night time stroll. It is both creepy and beautiful at night. Our night walk was on a misty night and it felt very mysterious; I really felt like I had been transported back to the 1800’s. I kept expecting ladies in Victorian gowns to sweep out of the mist. Rise and shine! Time for the first full day of your adventure in Venezia! The breakfast in the hotel is really yummy, so feel free to have breakfast there - or head out to find a cafe and enjoy a latte. When you’re fueled up (and if you’re like me, caffeinated) it’s time to start the day. First stop is the Palazzo Ducale; the palace of the Doge who once ruled Venice (and large chunks of Italy and Europe). I cannot explain to you how incredible this visit will be - it is truly one of the most beautiful places I have ever been. The Hall of the College literally cannot be captured in pictures. After marvelling at the Palazzo all morning it’s time for lunch. I know most people would urge you to “get away from the tourists areas” to find something to eat I disagree - at least where lunch and piazzas in Italy are concerned. My favourite way to eat lunch in Italy was outside looking out over a piazza. And there really isn’t a much more spectacular piazza than the Piazza San Marco in Venice. My one suggestion is to go to the left of the Basilica San Marco - the restaurants there are a lot less pricey (though still delicious). After lunch go for a walk along the promenade (on the other side of the Palazzo) to help work off the pizza or pasta you had for lunch and enjoy the beautiful views. When you get to the end you can loop through the park and through the suburb of Castello (where most actual Venetians live now) on your way back to the hotel. After a few hours relaxing back at the hotel (and maybe a few drinks in the hotel bar) it’s time to head out for dinner at Ristorante Trattoria Cherubino. It’s a really lovely and cozy restaurant that does amazing risotto (and I say this as a card carrying risotto snob). Sunday is going to have a slower vibe; but Venice is the perfect place for a more leisurely day. After breakfast it’s time to head out and wander the streets. It’s remarkably difficult to get lost in Venice, even with all the tiny side streets and back alleyways. Having the Grand Canal running through the centre of Venice is a great way to keep yourself centred. Plus you have the train station to the north and the ocean to the south to help keep you oriented. If you do want to learn a little more about the history of Venice you can head down to the Maritime Museum. Venice built its fortune on sea trade and it is truly fascinating to learn more about. And if you’re wondering where to have lunch - head back to the Piazza San Marco or take a chance on one of the many restaurants you wander past (Italy is the only place in the world where you can feel pretty safe about getting a good meal from almost anywhere you go). Either way; a great way to end your trip is a cocktail at the famous Harry’s Bar. My memories of Florence are comprised of three things: the incredible Tuscan sun, delicious food and lazy wandering. Florence at Christmas can be quite busy with tourists (remember Vatican City is in Italy, so there are lots of people who visit for religious reasons) which kind of put me off a little, but I would absolutely return before heading off into Tuscany. Give the Uffizi museum a miss if Florence isn’t your only stop in Italy, it's always packed and there isn't a lot to see that you can't find elsewhere in Italy. Instead I would recommend you visit the Galileo Museum. It was incredible to see the machines and devices used for scientific experiments from the 15th century up until today. This is what they used to figure out how the world works; things like the laws of gravity which we just take for granted today. Also there is an astrolab that has to be seen to be believed - it was possibly one of the most beautiful things I will ever see. Florence had some of the best food of Italy - although I didn't really enjoy the touristy side of it, I would return in a heartbeat for the food. This is a place that you must book ahead - Mike and I wandered in during their lunch hour and booked for that night so it isn't too complicated and it is absolutely worth it. There aren't many tables so if you're a couple you may find yourself sitting at the same table as another couple but it's strangely cozy, and really only as weird as you make it. We were seated with a Scandinavian couple and we mostly kept to ourselves except when we were trying to decipher the dessert menu - none of us spoke Italian so it was pretty funny. The waiter came at sat at the table with us to take our order, and was so friendly and helpful. Oh, and the food is incredible, I had lamb cutlets that I still dream about. I can say, hand on heart, it was my favourite meal of our trip - and it's going up against a lot of incredible food. I think the cozy friendly feel of the restaurant as well as it's determination to focus on quality seasonal food and wine really helps put it at the top of the list. Mike and I wended our way home pretty tipsy after that meal, and it is one of my fondest memories. Mike and I went here twice, on our first and last night in Florence. I really loved the relaxed atmosphere - it's far more of a wine bar than a restaurant but the food is really good, and it's nice to sit down and enjoy some cheese and wine. It's the sort of place I would go to every Friday night if I lived in Florence. This was one of those serendipitous moments on our trip, on the same night we were heading to Vine e Vecchi we decided to have some pre drinks. We were on our way to a margherita bar we had heard about when we wandered past this wine bar and on a whim changed our minds. It turned out to be halfway between a wine bar and cellar door for the winery Verrazzano - a winery that has been around in one form or another since Roman times. We sampled a few of their different wines, I fell heads over heels in love with Chianti that night and we picked up a bottle for us. and a bottle for Mike's parents. Mike and I stayed at Hotel Berchielli and it is an incredibly nice hotel on the river but - and this is a big but - were we not travelling in the off peak season I doubt that we would be able to afford it . What I'm trying to say is that it is a beautiful hotel with fantastic service but it was available to us through luck and chance, and so I couldn't exactly recommend it because I know under different circumstances it would be out of our budget. The best way to describe Venice is beautifully melancholy. Venice can remember once being the most powerful city in the world, and knows how far it has fallen. Somehow though, that melancholy just adds to the beauty of the city. It is a photographer's dream - endless tiny streets and bridges and canals. It's like nothing else in the world. If you want to understand the power Venice once wielded this is the place to go - the palace of the Doge, who once ruled Venice. The receiving hall defies description, every surface is painted with astonishing frescoes and it is enormous. We walked through endless beautiful halls and even spied several secret passages (which naturally sent me into transports of delight). I didn't really take many photos because photos cannot capture it - you have to see it to understand it. The history of Venice is one of sea faring, so of course it was incredibly interesting to check out the Maritime Museum. Mike gravitated to the weaponry and I drifted over to the letters and maps and paintings. It was really interesting - though Mike and I's attention flagged a bit around the turn of the 20th century. There is something around every corner of Venice, and a lot of the best bits are hidden away in little back streets. Aside from the Palazzo Ducale and the Maritime Museum Mike and I spent most of our three days walking through the streets - we crossed the Rialto Bridge, saw Piazza San Marco, we even stumbled on the Castello neighbourhood where most Venetians actually live these days. It is a city of astounding beauty and the best thing you can do is to just walk. 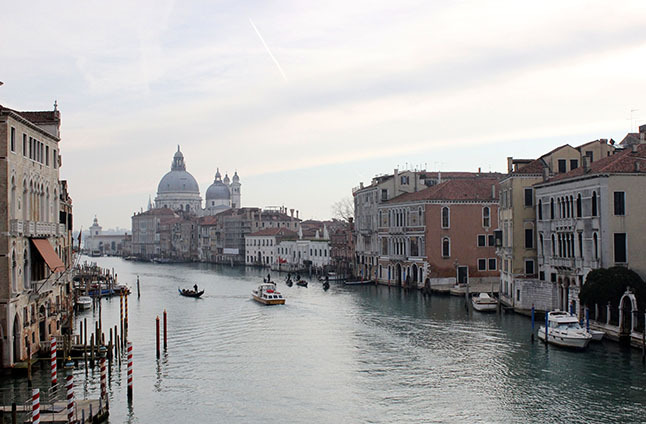 Plus it's strangely hard to get lost - we always ended up back at the ocean or the Grand Canal. One foggy night we went for a walk along the water and it felt like you were back in the 17th century, surrounded by the intrigue of the court with ladies in long dresses swishing past you on the arms of handsome gentlemen. Eating in Italy is a joy - Mike and I ate everywhere, from cheap cafes filled with older men having their lunch time pasta and wine to incredibly fancy restaurants. Aside from one slightly average pizza every meal - even the ones in the tourist areas - was delicious. The best thing I can recommend is to get out there, find the places near your hotel, order a spritz and just enjoy yourself. This was our first meal in Italy and it was so memorable. We stumbled on it almost by chance, and actually went back on our last night as well because it was just that lovely. Let's start with the incredible wine list - wine varieties are very different in Europe compared to Australia (and possibly other places as well) so do not be afraid of asking for a recommendation - we did and we had the most beautiful bottle of red wine and for only 20 euros! When told the waitress that we were amazed that such a beautiful bottle would cost so little, she explained, as though this was the most obvious thing in the world, that the price of wine doesn't matter, the taste is independent of price. Suffice to say at that moment I fell in love with Italy. The food was beautiful - inventive but classic at the same time. Just thinking about it is making me sad because I would love to go there again. Hotel Al Codega is a fairly new hotel - and is styled as a boutique hotel with a nice little lounge for pre dinner drinks, breakfast in the morning and beautiful rooms. We had a lovely time staying there, they were so helpful and friendly. The only thing I will say is that because it's new, it felt like it hadn't quite relaxed into itself yet - but I think that will come with a bit more time and certainly didn't impact our stay. One thing to mention is they send you a map of the hotel location - you will absolutely need it - the hotel is down the most nondescript alley. You will never find it on your own.